Campaigners for a second referendum on Brexit are braving scepticism and even hostility as they hit Britain's streets as part of a growing movement to get Britons to change their mind. More and more politicians are calling for another vote and recent polls show some 40 percent of the population support it but reactions are very different in Brexit-voting areas. 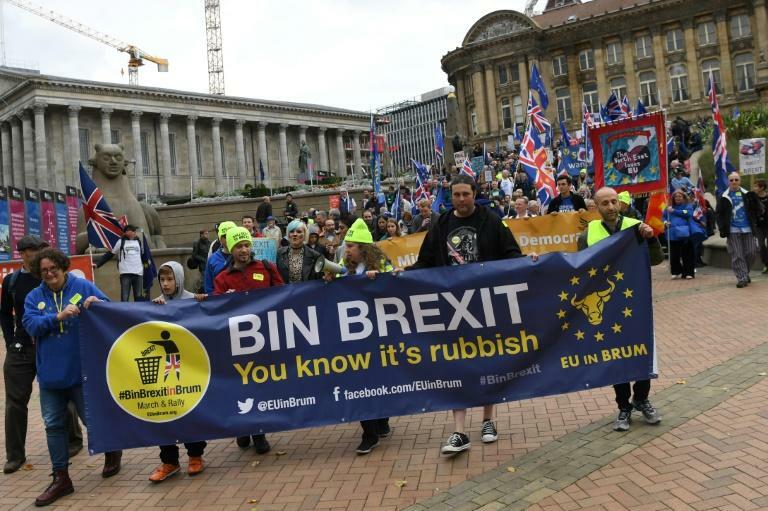 On a recent weekend, pro-EU volunteers fanned out in the centre of Solihull, a town in central England that voted 56 percent for Brexit in 2016 -- four points higher than the national result. One of the campaigners, 53-year-old Kevin McLaughlin, said he was "a bit apprehensive" about handing out leaflets. "Not everybody is going to share my point of view and you have to be prepared for that negativity coming back," he told AFP. McLaughlin is taking part in a political campaign for the first time, he said, because of his fears for the economy even if Britain and the European Union do strike a Brexit deal. Solihull is an affluent town of 200,000 people that has benefited from the car industry -- one of the sectors most concerned about Brexit because of international supply chains. 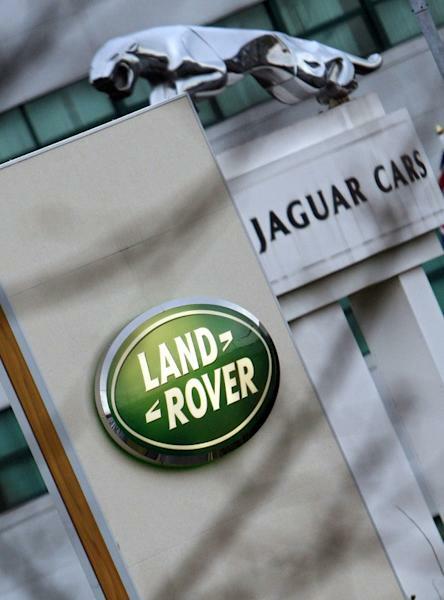 But the local Jaguar Land-Rover plant will be shedding hundreds of jobs next year because production is being shifted to a factory in Slovakia as fears grow over a no-deal Brexit. Despite the uncertainty, few passers-by appeared concerned or in favour of what campaigners are calling a "People's Vote". "We had a vote two years ago," said Todd Bonehill, a 21-year-old employee of a local hardware store. "They say it's a people's vote but the people's vote was two years ago. 17.4 million people voted for Brexit, that's the biggest political mandate the British government has ever been given," he said. Another pro-EU campaigner, IT engineer Mark Wheatley said he was not put off and would continue pushing for a second referendum for the sake of "young people who want to work around the EU, travel around the EU". Wheatley, who took part in the Remain campaign ahead of the Brexit referendum, said he was "utterly disgusted" by the result. "The People's Vote" campaign, which brings together various anti-Brexit groups, has gathered momentum since the summer with a string of lawmakers expressing their support. Prime Minister Theresa May has ruled out a second referendum, arguing that it would destroy trust in politicians, but some Conservative MPs have said they would be in favour. The main opposition Labour Party has said it would only consider it if parliament votes against a Brexit deal and no general election is called in the next few months. The Liberal Democrats, a small opposition party, are the only mainstream force calling for a vote and are supporting a major demonstration planned in London later this month. 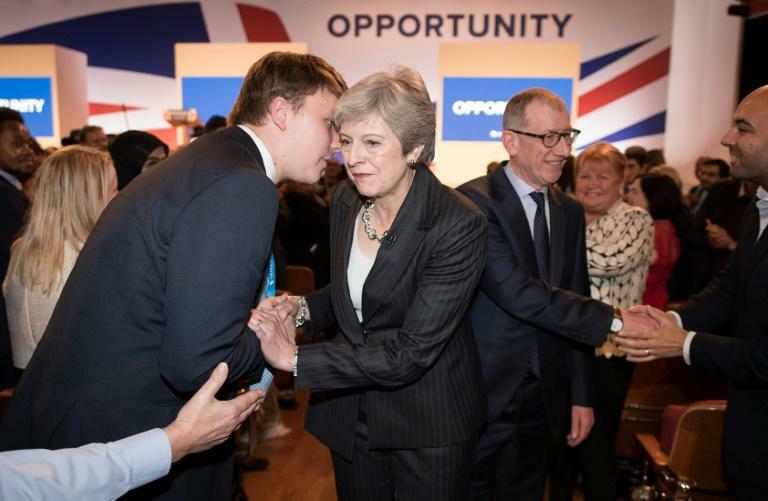 Philip Beyer, a local coordinator for the People's Vote campaign in Solihull, said he had already bought his train tickets for the protest in the capital on October 20 -- some five months before Britain is due to leave the bloc on March 29, 2019. Beyer said he was hoping for "at least a quarter of a million" people to take part. "That could change things," he said. But he admitted: "We've got a lot more work to do. "I just hope that as we get nearer, people start thinking of the effect of leaving, enough people will change their mind".